This is an extremely light blue denim-looking shirt. Again, it’s western-style with snaps. In After School Special (4x13), Sam wears it, after they’ve burned Barry’s bones, when he tries to go see Mr. Wyatt but is attacked in the hall by the ghost. 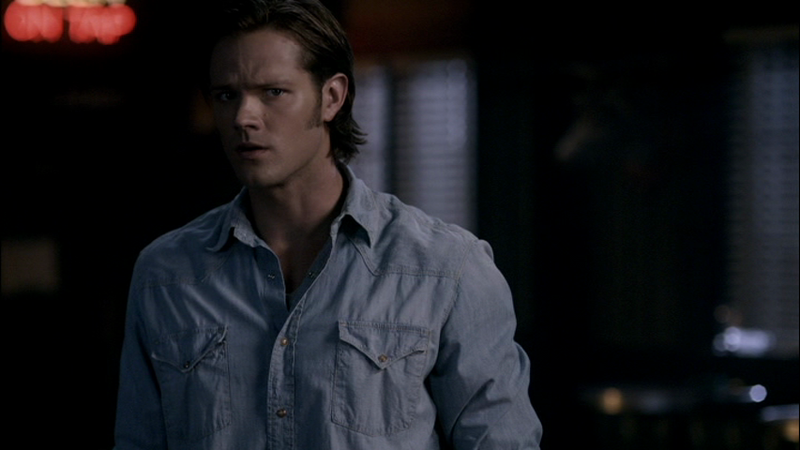 In Free To Be You And Me (5x03), Sam is wearing this shirt when the Hunters return to the bar and try to force him to drink demon-blood. FATE: Stabbed! 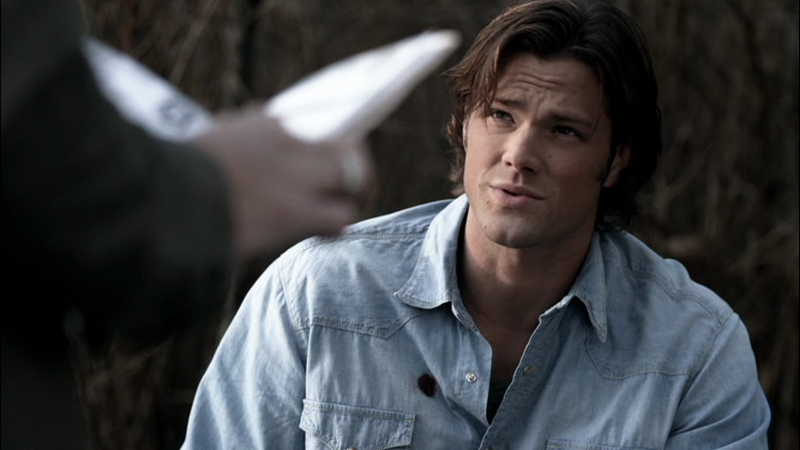 Sam is stabbed by very small blade in the right pectoral in After School Special (4x13). Winchester Tayloring-Skillz come to the rescue though, as no evidence of the attack remains the next time we see the shirt. In Free To Be You and Me (5x03), the shirt gets blood-stained (again). Cool photos you used. His face is already a lot less square like it was in season 4 (in the bottom one).